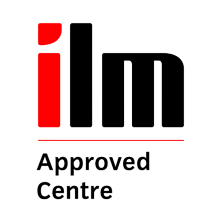 The Institute of Leadership & Management (ILM) Level 5 Award, Certificate and Diploma in Management are qualifications that have been specially designed to give practising or aspiring middle-to-senior managers a solid foundation in their formal development in this role. All learners are able to study a diverse range of units to build their qualification - an Award (Minimum 6 Credits), Certificate (Minimum 13 Credits) or Diploma (Minimum 37 Credits). This high level of flexibility allows individuals or their employers to custom build a qualification focusing on the key areas of middle management that are most relevant to the demands of a specific role, industry or organisation. 'Managing improvement', both in terms of organisational and personal development. Developing their reflective management, concentrating on the analysis of personal strengths and weakness and how to work through problems using creative techniques. The ILM Level 5 Diploma can lead straight onto the Level 6 Qualifications or, for the first time BDM is able to offer progression straight onto the final year of a BA honours Business Enterprise degree.